For some individuals, finding the right Abu Dhabi property is all about finding the right location. Similarly, with the Eastern Mangrove directly north and the Al Bateen Executive Airport to the south, Al Qurm is the perfect locality for entrepreneurs and managers who need to travel frequently, as the airport is just to the south of the community’s border. Further south, there’s the Zayed Sports City where Abu Dhabi residents can enjoy the various sports-related activities such as golfing and tennis. To the southwest of the district, there’s the Mushrif Mall. Further southwest, there’s the Al Gurm resort. A short distance southeast, Khalifa Park is a great place for kids to enjoy the outdoors. In fact, there are so many exciting venues nearby that it’s not surprising to see the rise in demand for rental apartments. For studio apartments, one can expect a unit in this class to have a living space of 500 sq. ft. and one central bathroom. A 1-bedroom apartment in Al Qurm nevertheless will come with a living space of 900 sq. ft. along with 1 bath. On the other hand, there aren’t any 2-beds or 3-beds currently available in this vicinity. Most apartments in Al Qurm are situated in a designated area with 24-hour security, dedicated parking spaces and a laundry facility. Some flats also come with free-maintenance and the front doors can be accessed with a security passcode. For studio apartments in Al Qurm, one can expect to pay a yearly rent of AED 40K. However, for some apartments, there’s some leg-room for negotiating the rental rates. The price of a 1-bedroom apartment in Al Qurm can range at an average of AED 55K in annual rent payments. 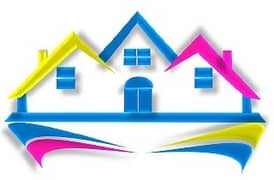 Another benefit of renting here is that the Tawtheeq will be registered under the tenant’s name and the agency won’t charge any commission or agency fees. Living in the rental properties of Al Qurm means that residents will have various activities to choose from in their community. For those who love dining out, there’s a popular Asian restaurant known as Teatro Restaurant. For those who prefer a more casual dining experience, the nearby cafeteria of First Clique Khalifa Park Cafe & Restaurant offers an off-the-cuff dining experience. For those who prefer a healthy meal, simply head on over to the Subway restaurant in Al Seef Mall. For those who have a hankering for Indian cuisine, simply drive over to the Royal Biryani Restaurant which is a few blocks away. The Chocolate Lab also offers a tantalizing selection of various chocolate coated desserts for residents to enjoy and indulge in. For residents with school-age children, there are plenty of reputable schools to choose from - there’s the MindChamps Nursery @ Bloom Gardens which offers early childhood education for toddlers. For primary education, there’s the Rabdan Academy and for higher education, the Brighton College Abu Dhabi. For sports fans who prefer a casual bar with a sports theme, there’s the Cooper's Sports Bar where residents can watch the latest sports match and enjoy a few drinks with their friends and colleagues. Accordingly, these are some of the factors that may motivate people to start searching apartments in this vicinity. With world-class healthcare facilities such as Abu Dhabi Medical Centre and Ambulatory Healthcare Services, great healthcare can be found just a few blocks away in Al Qurm. For those commuting to Deira Dubai, residents can take E11 freeway all the way to their destination; the drive is estimated to take around 1 hour and 26 minutes. On the other hand, those commuting to Internet City Dubai can expect to reach their destination in an hour. Residents who need to get to Abu Dhabi International Airport can expect to arrive there in 40 minutes. Those thinking of inquiring about apartments for rent in Al Qurm should take into consideration the nearby facilities and commute time before making a final decision. 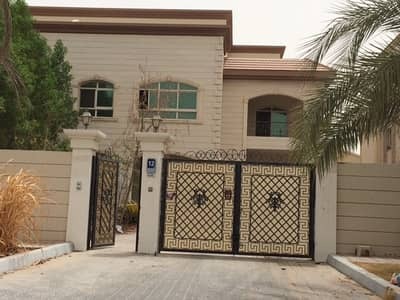 I am looking for Apartments to rent in Al Qurm, Abu Dhabi, UAE. Please let me know about any suitable properties you have. Thank you.